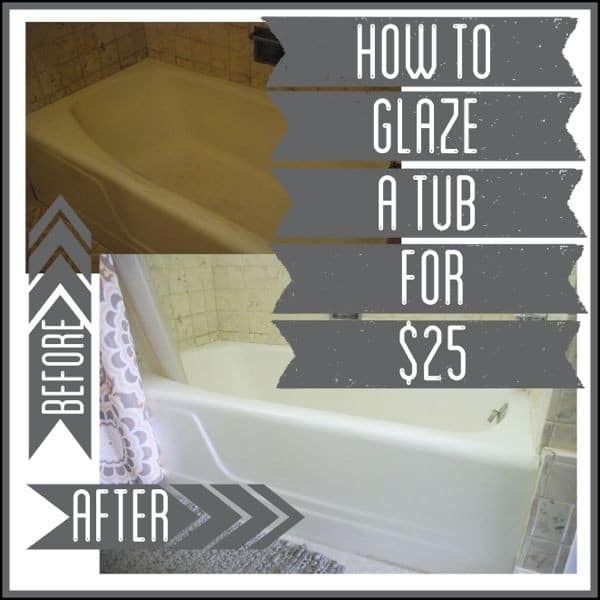 This post sharing how to glaze a tub will save you lots of money with a little bit of time spent painting! This post contains affiliate links, which means that if you click on one of the product links, I may receive compensation. Basically, by clicking and or shopping you’re helping keep the BrightGreenDoor lights on, Thanks! 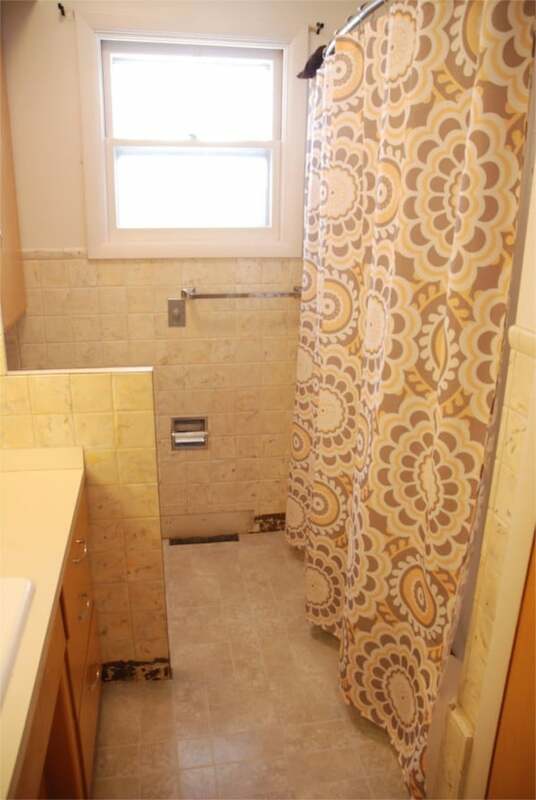 When we bought our house the bathroom had sliding shower doors. 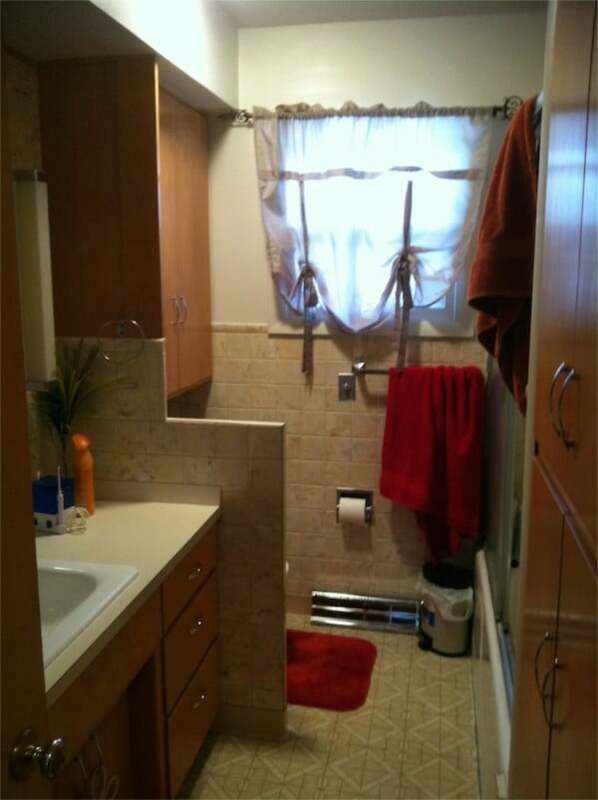 We took those down on our second day in the house and replaced it for this curved curtain rod and curtain. 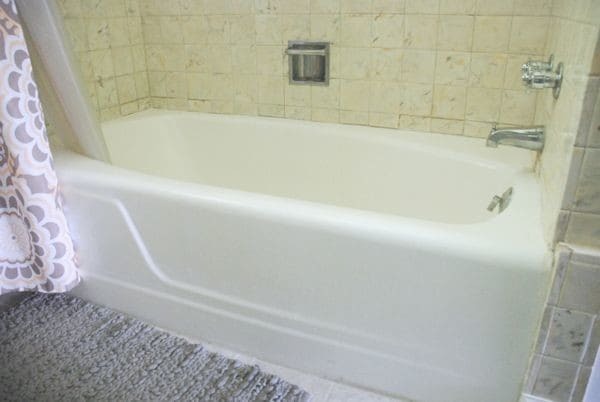 Where you found this nastiness… every time I gave the boys a bath in it I felt like a bad mom. 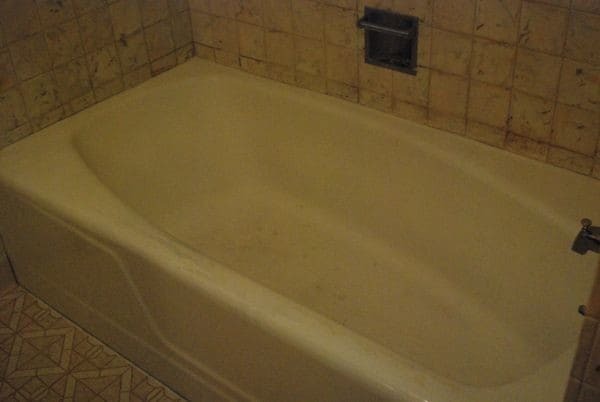 Look closer at the tub. The glaze was worn off which meant you could not wipe it down and dirt was embedded in the raw porcelain. YUCK. 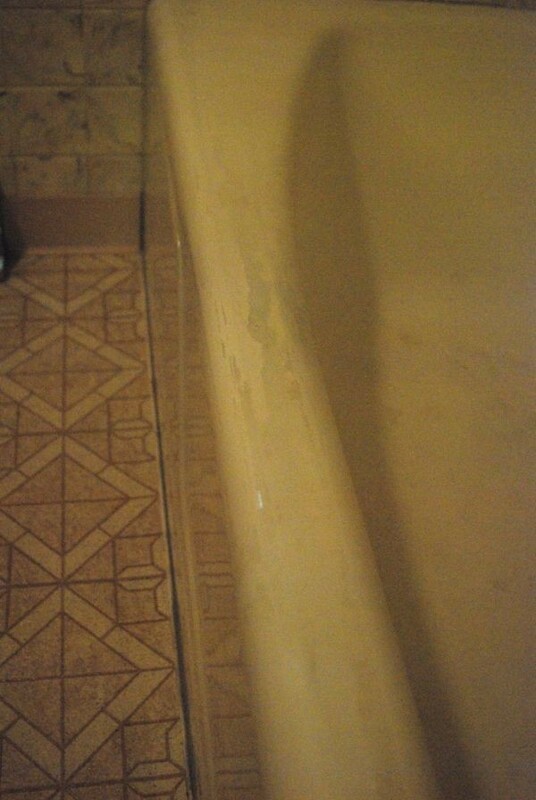 After moving in I scrubbed for at least 12 hours with every chemical on the market and it still looked nasty. Then I saw this gem for just $25. 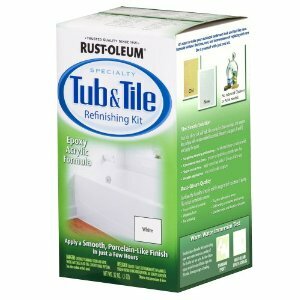 Today I want to share the easiest tutorial ever for How to Glaze a Tub. 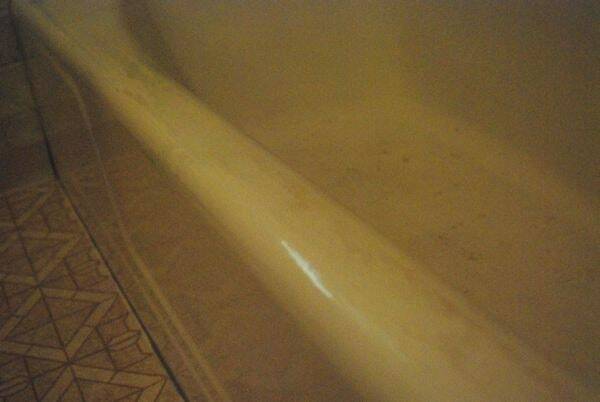 I thought I could glaze the tub during one of Mason’s naps. That was until I realized that each coat would take about 30 minutes, and you had to wait for an hour between coats. Of course I needed 4 coats, not the recommended two because everything I do takes more coats than reccomended. It looks WAY better though! Not too shabby for $25 though! Now I don’t feel guilty giving the boys baths anymore either! 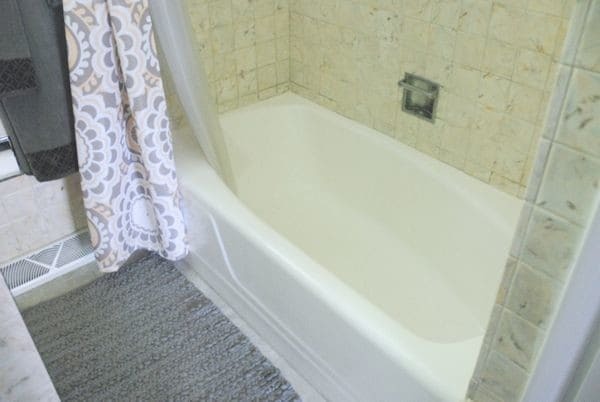 I’m wondering how long you have to let the final coat cure before using your shower? It dries pretty quickly. I’d say within 24 hrs you’d be fine. It just has very strong fumes for a few days. Honestly it’s really strong. We just shut the bathroom door and kept the window open with a fan. I would make sure you have a way to ventilate it!